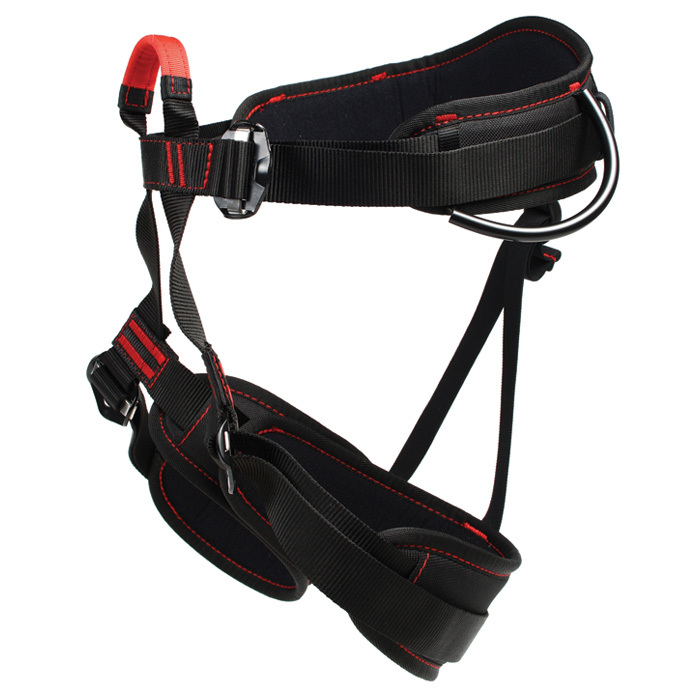 One size fits all fully adjustable harness with auto locking buckles. 2 gear loops, a single well identified tie in point. Versatile and comfortable thanks to its padding, it is suitable for any vertical activity, from beginners to more sustained use. Universal size fits up to 43" waist.